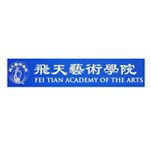 Stevens Strategy advised the principals at Fei Tian Academy on the application for degree granting authority. Your expert advice was very helpful to our college application. We have successfully passed both the academic and financial reviews by New York State. In fact, the review team noted, ‘few institutions have so fully and appropriately addressed the Department’s standards and expectation for recognition as a college prior to a peer review assessment.’ We expect to receive official licensure very soon. We sincerely thank you for your great help. We will keep you updated with further progress.